Easter is a joyful time! Relive the resurrection of Jesus in your life. Just as He has spread His love and peace to mankind so should we. With His death, we have been redeemed and with His resurrection, we are promised eternal life. Alleluia! Alleluia! Christ has risen! As you prepare for Easter season, Haven House would like to remind you that because of community support, families are being reunited with their children, redirected in their life choices by exposure to positive goal orientated programs, encouraged with Biblical counseling and inspired to give back to others after receiving the love of Jesus in their needs. When we meet them in their pain, their hearts soften and their defensive mindsets relax so that restoration can begin. What more fitting symbol of Jesus’ teachings in the Easter season than to give something of yourself in His name to those that need it the most. FEED-BACK from our former participants is what keeps our staff and volunteers going. The following testimonies were written by two parents of recent graduating families. I never would have imagined that I would still be here almost two years later with a new vehicle, my kids back, a good paying job and getting ready to move into a house. Thank you Haven House and thank you everyone that is involved with this amazing place for everything you do and everything you continue to do. When I moved into the Haven House I had nothing but my car and a storage shed. I was living in my car bouncing from house to house, putting myself in not so safe places. My kids lived with their grandparents, I only saw them on the weekends. ….along with moving into the Haven House I have been clean and sober from drugs and alcohol. While living in the house I have gotten to have all 3 of my kids given to me. I have built a better relationship with my kids, instead of working 24/7 I have learned to take time to care for my kids. I have managed to pay off 5 of my credit cards and become more financially stable. Currently, I am one month ahead on all my bills and my kids still have money in their savings account. 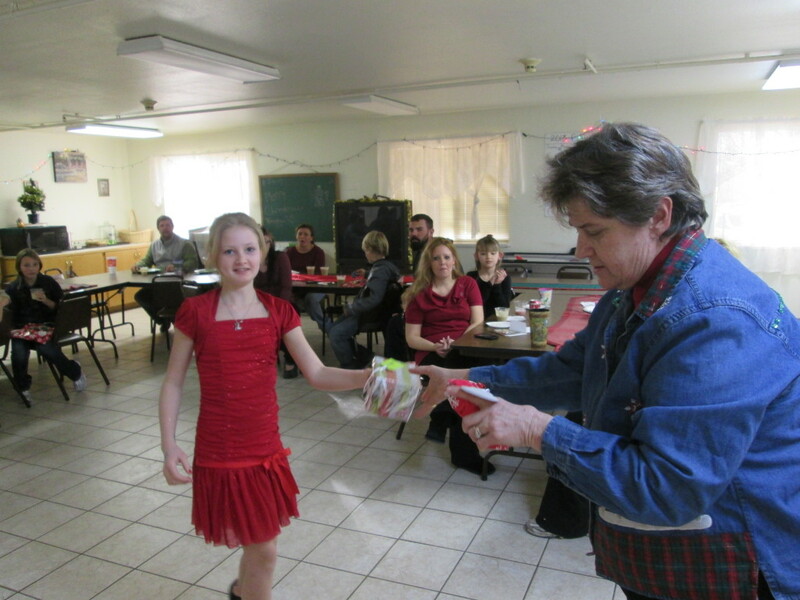 Haven House programs focus on families with children. In the past two years, we have implemented our Child Development programs which include youth group, Holy Listening, counseling and homework club. Since opening five years ago in April 2011 we have provided over 55,000 shelter nights to over 370 persons including over 190 children! We operate 12 months a year and are open 24/7 – our families live here full-time. CONSIDER DONATING TO THIS VERY WORTHY OUTREACH. CLICK THE DONATE BUTTON ON THE RIGHT SIDE COLUMN FOR SAFE AND SECURE PAYMENT PROCESSING. Marline graduated the Haven House program on February 12, 2016. Her graduation party included well wishers and happy faces of her children and friends. As she acknowledges in her testimonial letter, this is a culmination of hard work with big rewards and she has put in the work to set the goals to make the future even better. A heartwarming story that shows the Haven House program is an All-Inclusive answer to many of the elements that result in the homeless condition. We don’t plan on letting anyone stay in that condition who has the desire to transition back to a rewarding, self-supporting life. With help from the community of participants living at Haven House and the loving supportive and instructive staff and volunteers, no one has the reason to say “it can’t happen for me”. CONGRATULATIONS MARLINE AND FAMILY. Thank you donor’s and volunteers! With donated gifts and lots of hard work from volunteers, the Shepherd’s Shopping Spree at Haven House was a huge success! 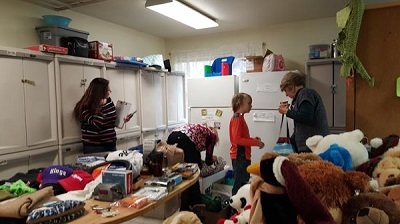 A truck loaded with donated gifts arrived at Haven House and staff and participants were waiting to help unload the haul. 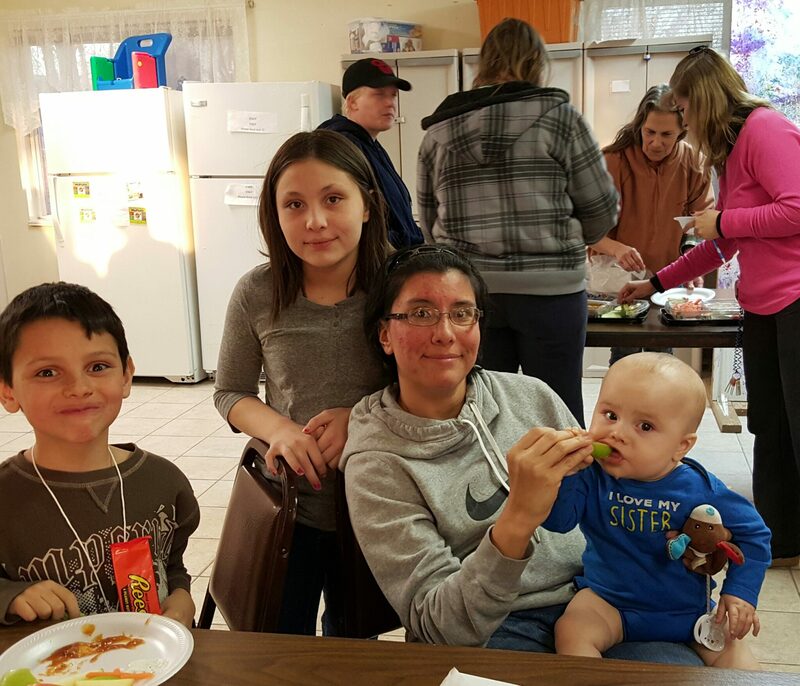 All participants at Haven House worked extra chores to receive tickets to shop for their families, including the children who used their homework club, Whiz kids and youth group points to shop for their families. The Dolphin House and Haven House graduates were also invited to participate. God filled the house with love, patience, and giving hearts!! With an ill husband, autistic son and traumatized daughter, it’s an understatement to say Amy Barrett is dealing with a tremendous burden. She isn’t shouldering it alone, though. Barrett and her family are among those who call Haven House Transitional Living Center in Olathe home. “My husband took it hard. He got sick and was unable to work. I was taking care of him and our children. We tried for me to work. It didn’t work out,” she said READ MORE click links below. COME SUPPORT OUR LOCAL BUSINESS WHO IS SUPPORTING LOCAL CHARITIES. Just South of the Montrose High School field on Townsend Avenue. This summer we plan to work closely with the Montrose Library and their reading program. All of our activities will be focused on earning badges for the summer reading program. I plan on taking the kids to the library every Monday to pick up our badges and check out books to qualify for these badges. We will also be doing hands on activities to earn the badges for the reading program. On one of the days of the week that I am working with the kids, we will be taking time to read the nonfiction books required to qualify for earning badges. In the plans below, I have not specified which day we will do this, as I’m sure depending on the activity, it may vary week to week; it may be something that we do while at the library on Mondays, or before/after our activity the next day of the week that I am working with the kids. On June 8th and 9th we checked out books on theater to read together and also attended a puppet show at the library, earning our Theater and Puppetry Badge. We are also attending a theater production at Magic Circle on Saturday, June 13th. On June 15 I plan to take our weekly trip to the library, and on the 18th attend a cartoon drawing class at the library to put towards earning the Art Badge. On June 22nd we will go to the library as usual, and on the 24th attend a dance session at the library to earn our Music and Rhythm Badge. If the kids are interested, I also thought we might go to Harmony Park at Cottonwood Elementary playground to make our own musical production on the drums, chimes, and xylophones they have there. On June 29th we will go to the library as usual. I also hope to do our activity for a badge on this day as well. On July 6th we will go to the library, and on July 8th-depending on the Ranger Program occurring at the Black Canyon, we may go there. The Black Canyon does not put out a schedule this far ahead, so depending on what they offer on this date, we may try this another week. On July 13th we will go to the library, and on July 15th we will go to the library again to see Sgt. Sanders and Oxx the police dog, using this activity to put towards our Health and Safety Badge, and Animal Lover Badge. On July 20th we will go to the library to check out books; on this date they will also have a Superhero Green Screen for us to use towards our Computer Science Badge. As of now, I am unsure of what our activity will be for July 22nd. On July 27th, August 3rd, and August 10th, we will go to the library to check out books as usual. I do not yet have plans for July 29th, August 5th, and August 12th. Holy Listening –God’s Word Applied. At this writing it is Tuesday of Holy Week, arguably the saddest week of the year. This week, my Lord dies, hope dies and we are left with nothing but the empty space of Holy Saturday. There is a commonality among the children at Haven House. Each time I sit with a child in spiritual direction, I first ask them to choose a picture of Jesus with children from a stash of many. This is our rhythm when they come. They choose the picture of Jesus they most need to see and then together we turn on a battery-powered candle to remind us that God is with us. Then they are invited to share their thoughts about the picture. Children who have heard Bible stories usually tell me something about Jesus’ death, even children who know little about Jesus know about his death. Some even know the gruesome details. The children at Haven House know death; they know emptiness, loneliness, and hopelessness. Often I will say, “Did you know, God brought him back to life?” Without fail, I am met with blank stares and even disagreement. Death they know, resurrection they can’t imagine. So in the last two weeks during spiritual direction (We call it Holy Listening.) we have used a wooden play set of the death, burial and resurrection of Jesus to play out the whole story—resurrection and all. I tell the story first and then invite the children to play with the pieces and retell. They are invited to add their own twists and turns, as this is how they make His story, their story. Interestingly, this is also how they mourn their own sorrows. In the death and sadness of Christ they are able to express their own pain. We keep the candle near, to remind us that even in great pain, and great sadness, God is near. The hope that says there is something better, unbelievably better, coming. A Lot Can Happen in a Week! 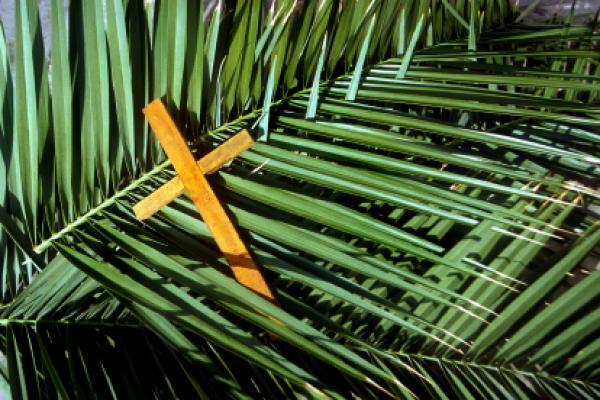 Have you ever wondered if you would have been among the group that recognized Jesus as the awaited Savior singing “Hosanna to our King” on Sunday or would you be among the angry crowd that shouted “Crucify Him, Crucify Him” on Friday? Ideally, we all would like to believe that we would never have been among that angry crowd calling for His death. It would have been a different story if we had been there. The truth is, it could not have been different. God wanted to reconcile the sin that separated Him from His people. The Easter miracle of Christ’s atonement and resurrection was the only way to accomplish that. The miracle of Easter is that the saddest say on earth was followed three days later by the most miraculous day on earth; signifying that there is unending hope for all people. It is proof of God’s Love for us. 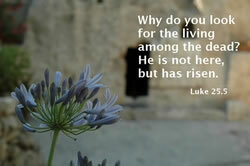 Our ability to return to the cross time and time again and claim the resurrection allows us to start life anew. If we dare to imagine ourselves among those in the front row of the angry crowd that condemned Jesus, we would find from Him, just like they did, love instead of hatred, mercy instead of judgment, joy instead of sorrow and peace instead of fear. “Father forgive them for they know not what they do”. ; The atonement is for all people. He is Risen! Now, every day, we can be risen too, making our imaginary association with either group of people in the Easter story irrelevant. Alleluia! Alleluia! As a non-profit entity, we need your financial support. Please help us continue restoring families. 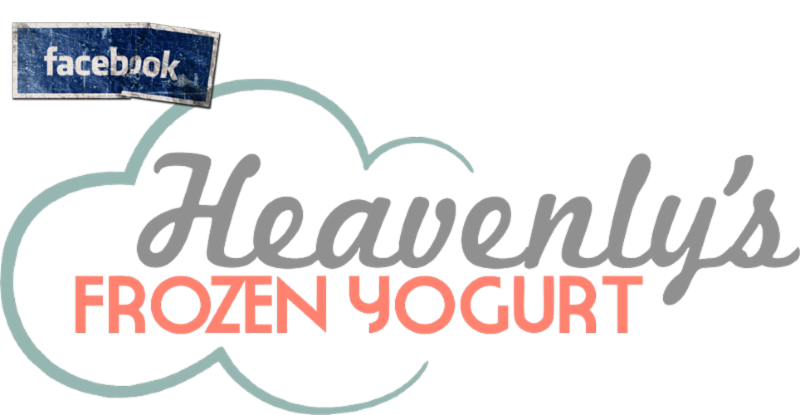 Haven House is a non-profit transitional living program with a dormitory facility in Olathe Colorado. Since opening in April 2011, we have provided over 47,000 shelter nights to over 330 adults and children. Additionally, we provide a wide range of programs that give parents the tools needed to become self-sufficient and maintain a suitable home for their children. Too often, children in homeless families are moved to foster care while the parents restore their living arrangements. We strive to keep the family united and help each member prosper during this difficult time. We are open 24/7 as families live here full time and can stay in our program for up to two years. He is not here; He is risen.